He’s one of the best play-by-play announcers in the game today. 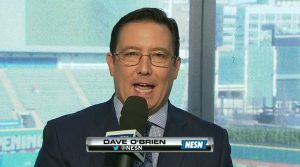 Meet Dave O’Brien, who covers the Red Sox for the New England Sports Network. Enjoy a little “inside baseball” from Dave who is living a childhood dream of covering the Sox!